What Is A Real Estate Broker's Open House? You might have heard the term "Open House" used as an event that might help you sell a house, but this article is about something that sounds the same but is quite different. You see, there is another type of event called a "real estate broker's open house," and it involves (usually) the listing agent of a home for sale inviting other real estate agents to come to some sort of simple viewing. Often times, there are refreshments and possibly door prizes used to lure in as many real estate agents as possible. I suspect my views on these brokers' open houses will touch on a few nerves, but I think it's time we revealed what truly goes on at a real estate broker's open house. Back before the internet, real estate agents were challenged with bringing a home to the market on a timely basis. 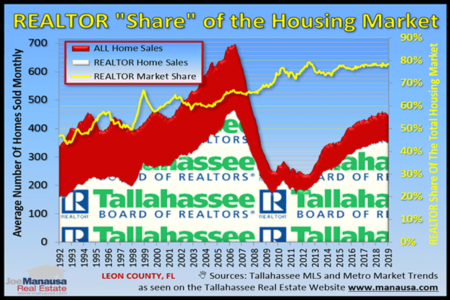 The concept of "market time" or "time on the market" was a valid concern [read this if you are still spewing facts and figures on market time], as publishing schedules often required months before a home was featured in the MLS, the local newspaper, and a few of the more important magazines that specialized in Tallahassee FL real estate. In order to hasten the home selling process, brokers would hold open houses for the public so that people driving around could stop by and see the property. But some diligent brokers would even hold special open houses where only real estate agents and brokers were invited. These "brokers open houses" allowed the listing agent to pre-market a home to the agents likely to have buyers for the home. In short, this was a good idea. Sometimes real estate agents do not change with the times. Today, I reach 94% of the ready-buyers for a home in 4 to 14 days with my real estate internet marketing plan. Thus, the Joe Manausa Real Estate company rarely conducts a broker's open house, as it is not an effective way to market a home. 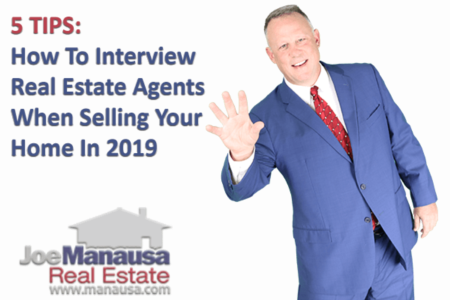 Now for all of our readers who are "in real estate" or who have sold a home in the recent past who are thinking "I just sold a house to somebody who's agent attended a broker's open house" ... I was waiting for you to think that :). 94% of homebuyers are using the internet in their home search. 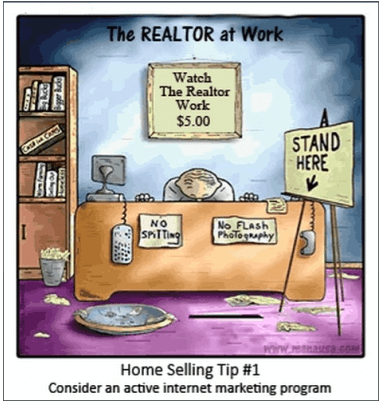 If a home is properly marketed on the internet, almost every possible buyer will be reached. Now you might be thinking ... "well, it wouldn't hurt to do a broker's open house!" And you are partially right, but mostly wrong. First of all, have you ever considered which agents actually attend these open houses? They are typically either close friends of the listing agent or they are members of the pack that busy agents refer to as "the free lunch bunch," who are happy to attend any event that offers free food. Are these the agents likely to sell your home? I think not. Secondly, most home seller's hire a real estate listing agent to sell their home. This independent contractor is responsible for every aspect of the home selling process, and the agent is likely very busy if she or he is any good. Therefore, both their time and their money are limitations that they must optimize. A great listing agent must spend their time and their resources on the MOST EFFECTIVE methods and processes for selling a home, as time and money are their limitations in getting the home sold for the highest amount of money. So yes, a buyer could be generated through a real estate broker open house, but the same time and money spent online would likely generate multiple buyers for the home. This means that time and money spent on a broker's open was time and money that could have been spent on internet marketing (you know, where 94% of the homebuyers are right now!). And before you start thinking ... "my agent has already got my home on the internet, so the broker's open house is extra" ... I again have to disagree. Most agents think that once the house is listed and syndicated across the internet, their job is done marketing your home online. And that is why their marketing plans are ineffective. Marketing a home online is not a set-it and forget-it event. It is a daily process that takes many man-hours every single day to ensure that a home is put in front of ready buyers when they are most active. Our marketing plan has numerous employees (such as yours truly) who work the internet every single day to put our real estate listings in the best light and best location possible for the homeowners who have entrusted us with the job of selling their homes. If you would like to speak with an expert on real estate marketing and how we get your home sold fast and for the most money possible, simply drop me a note and we'll schedule a time to do just that!